We arrived in San Fran around noon so we were able to check into our hotel and explore most of the afternoon. My mom, Aunt and I had delicious seafood at a restaurant at the Warf, while my dad and BF opted for In and Out Burger. Although I love burgers, I was naive on the first day of vaca and believed I could survive the weekend without over eating so I skipped In and Out. But don’t worry, it was eaten later in the weekend at about 1:00 a.m. after gulping down gallons of wine. 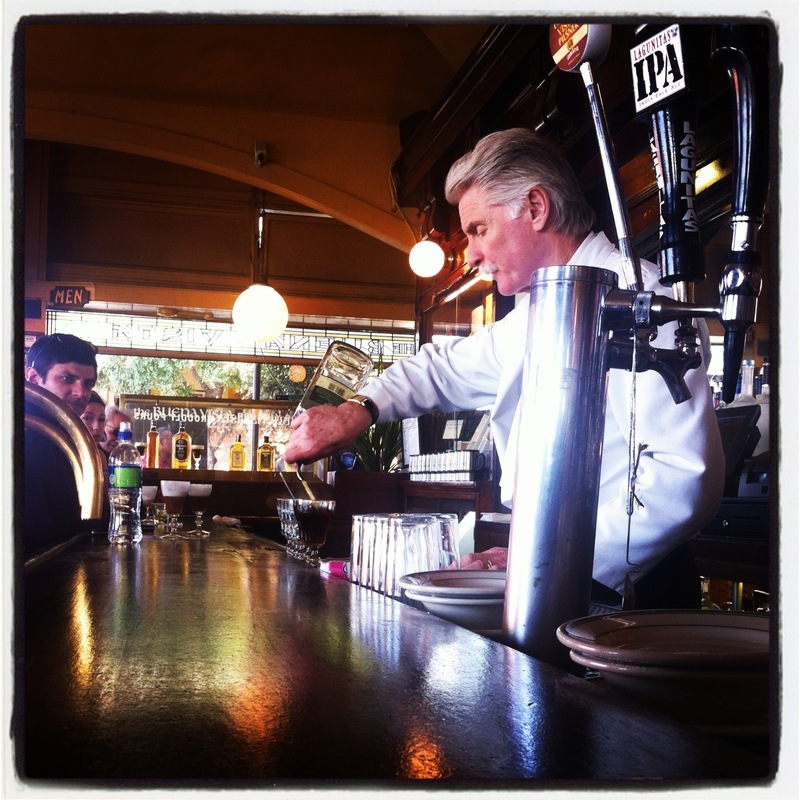 Friday Highlight: Going to The Buena Vista Cafe and drinking Irish Coffees. Irish coffees have like cream, coffee and whiskey in them – I think. Delicious! This is a must-go if you ever go to San Fran. In the morning, we took a long walk to my cousin’s apartment – about 2.5 miles away – through Little Italy. It was a nice walk, cool outside. Lots of hills. We had a delicious breakfast at a cafe in Little Italy – yum! Saturday afternoon we headed to Napa for the first time for wine tasting and a welcome dinner for my cousin’s wedding. It was so great checking out some fun vineyards and catching up with family I haven’t seen in years. On Sunday we woke up full of regret after binge eating In and Out burger on Saturday night, so our walk was extra long in the morning. 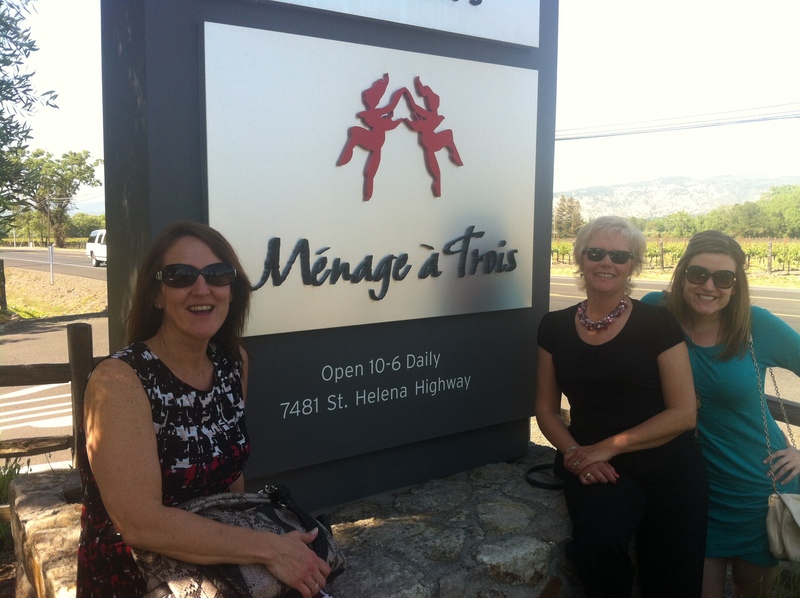 Once recovered from the night before, we got dolled up for my cousin’s wedding and headed back to Napa. On the way to the wedding we obviously stopped at two vineyards because, well, why not? 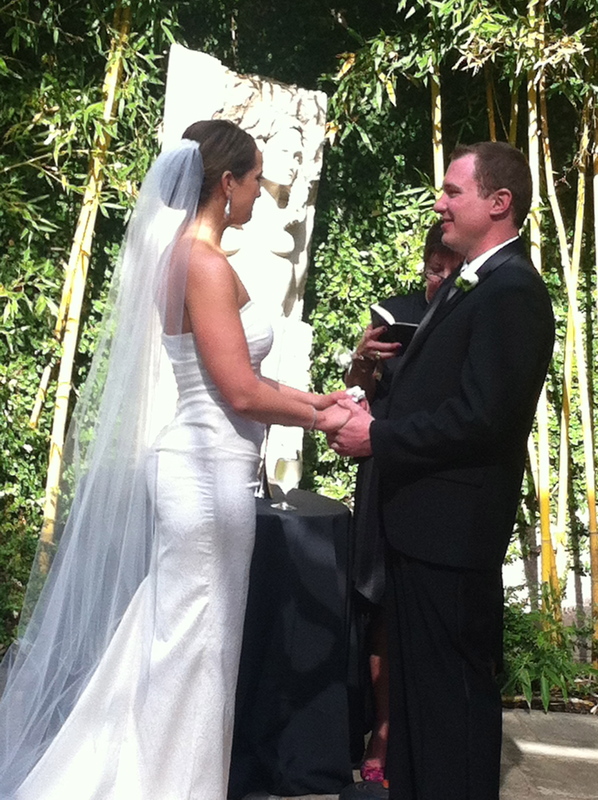 We then made our way to Yountville for the wedding. Sunday Highlight: Obviously my cousin’s wedding. It was gorgeous and so much fun. She looked amazing and the whole wedding was beautiful. Kristine & Mark, my cousin and her new husband, met in San Francisco so there was a lot of sentimental value in getting married at a vineyard there. The night was full of dancing, drinking, taking shots of Grey Goose – or GG 😉 – for my other cousin’s 21st birthday and playing with the fancy electronic bathrooms. Monday was rough. We attempted to go for a walk, but ended up eating a huge breakfast at the Hollywood Cafe instead. We then spent the day biking around San Francisco, over the Golden Gate Bridge and in Sausalito. At night we had another huge meal at the Warf and my aunt and I shared a huge, unnecessary fishbowl full of liquor. 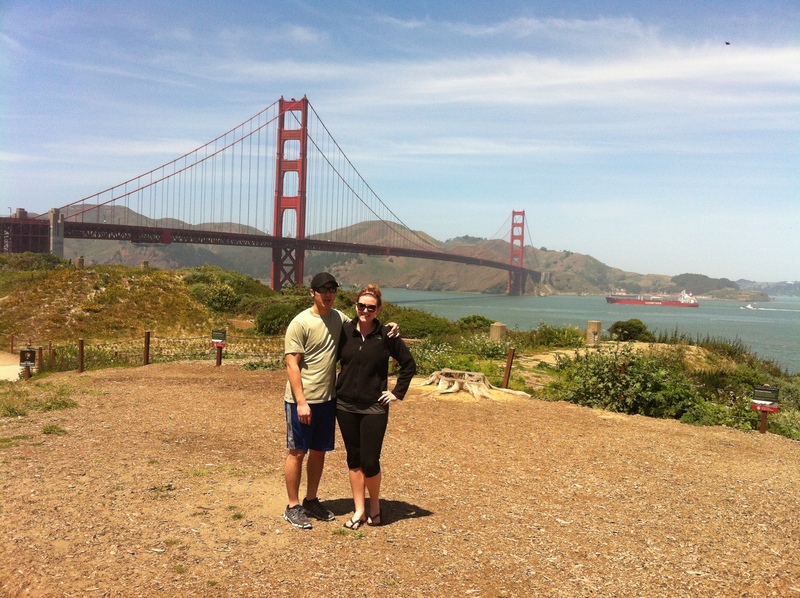 Monday Highlight: Biking over the Golden Gate Bridge was amazing! I got a horrible sunburn, but it was totally worth it. The view is amazing. It took us about 3 hours to make the trek across the bridge to Sausalito, but it flew by. The only bad part was making it up the hills – so many hills. But we were rewarded with fish tacos and yummy Sangria in Sausalito. The whole trip was awesome. I’m a little bit in love with northern California right now and need to go back. If you ever get a chance, go!